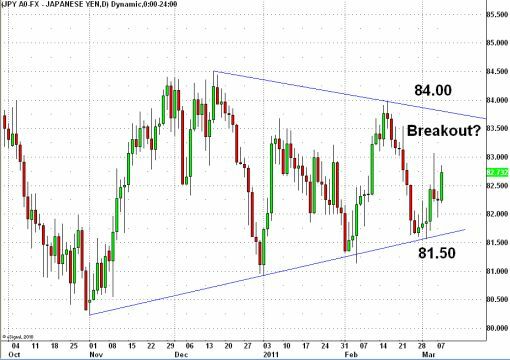 USDJPY: Prime for a Breakout? Since the beginning of the year, the trading range of USD/JPY has been getting tighter and tighter. However with the Japanese fiscal year coming to an end this month, there is a good chance that we could see the recent ranges in USD/JPY broken. 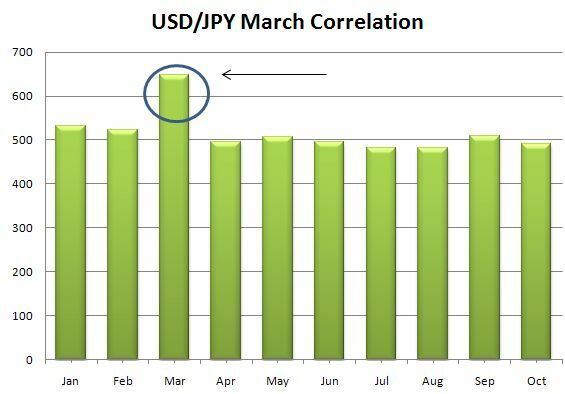 Contrary to popular belief, repatriation has provided little benefit to the Yen over the past decade, but the one consistent theme that we have seen in the month of March is an increase in volatility. For USD/JPY, the 81 to 84.50 level have contained most of its recent movements but these levels could be broken especially if the Federal Reserve starts to shift its stance.